It arrived in a big box, well and loosely packed in a lightweight stuffsack, accompanied with a small packbag. My first impression was: “Wow that’s light!” In fact it is for a bag promising to keep me warm at -4°C! It comes at about 950g in total, being stuffed with 535g 805cuin down. Though I must say it also flashed through my mind how on mother earth this lightweight bag should keep me warm below zero. After 10 Minutes I thought: “Hm, strange, by now it should be warm.” Somehow the upper parts from my legs were cold. Normaly I always sleep with long pyjamas. Maybe that was what I’d done wrong. I didn’t bring my pyjamas and didn’t put any trousers on as I got into my sleeping bag. Or maybe I should have waited a little longer allowing my body to warm up. Anyway, I fell asleep anyway and I woke up in the morning sweating, wanting to tear open the sleeping bag at once (argh let me ouuut! )… Luckely the zipper worked smoothly, definitely being one of the great features of the WM spleeping bags: due to an extra piece of stabilizing fabric next to the zipper, the fabric doesn’t get stuck in the zipper! Another plus of my Apache is the fact that the down can be shaked from the bottom to the top and the other way ’round, meaning you can put the down where you need it the most…. I’m sure that can become handy, depending on where and in what temperatures the bag is used. My second testing night was spend in the woods at -5°C. As I really didn’t want to freeze, I put an extra thin summer sleeping bag from quetchua inside as well as a bivacksack from quetchua around it to protect it from humidity/wind. The sleeping pad I used -as mentioned it my previous post- was the TaR NeoAir XTherm… I must say that worked well, really well… Warm feet, warm legs, warm torso, warm head. I do have a bit of a problem sleeping in a bag with the hood around my head. I somehow feel trapped… So at 3am I put my head out, keeping the collar closed about my shoulders… I had an alpaca/merino-hat on, and it kept me warm. Realising that, I could have gone with a quilt too… But now I have this wonderful WM sleeping bag and it’ll do! 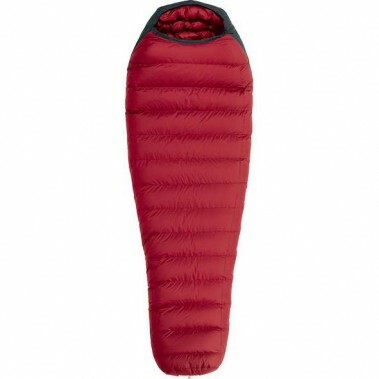 Next time I sleep outside at freezing temperatures, I’ll leave the extra summer sleeping bag at home and I’m gonna try the Apache on its own… Hoping it’ll keep me warm when I shake the down to the top combined with the TaR NeoAir XTherm underneath.